How many of us remember the first day of school? The smell of a new pencil case, the anticipation of your new teacher and the excitement of seeing friends after a long summer! The first day of school can be happy, sad, stressful and all other emotions. 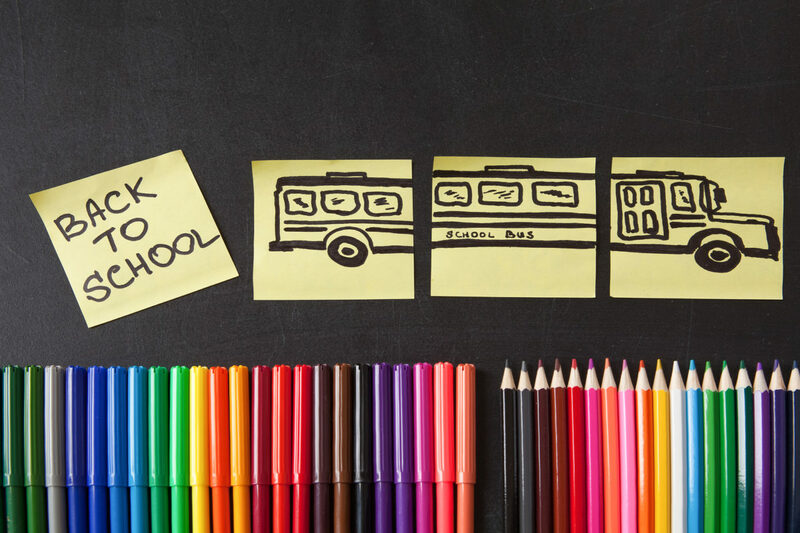 In order to make the first day of school run smoothly for everyone, including your Au Pair, follow these tips! 1) Do a run through. Before the first day of school, do a run through of the day with your Au Pair. What is the route to the school? What does drop off look like? Where specifically do they have to drop off/pick up? How early should the Au Pair be there to pick up? Where can your Au Pair find lunch food? Are they required to pack two lunches (for two nutrition breaks)? What is a typical lunch? This simple run through will help set your Au Pair up for success, therefore setting your kids up for success. After you have done a run down of the routine, take some time to talk about the Au Pair’s schedule. How will they keep track of their hours? What is the protocol if they have to work extra hours during the week? What time are they done for the day? If the schedule changes from week to week, then sit down each Sunday evening to discuss what the week is going to look like. 3) Introduce Au Pair to the children’s friend’s parents. It’s important for your Au Pair to have a community. Start them off right by introducing them to the people they will see everyday on the playground: your children’s friend’s parents. These parent’s can be a familiar face for your Au Pair and the first members of the community to welcome them. Once they build a relationship, setting up play dates can become much easier! 4) Get Au Pair to know the teacher. If you can, introduce your Au Pair to your child’s teacher. When you go in to meet the teacher, your Au Pair should also be there to meet them. If they are picking up/dropping off most days, they should know who the child’s teacher is in case there are any questions or concerns. Even if it’s just to have another familiar face. If your Au Pair is required to do homework with your children, explain your expectations to them. For example, if your kindergartener is required to read a book, how often should they read the book? Once? Twice? Three times? If your sixth grader has math homework and cannot solve the equation, how many attempts should he make before your Au Pair comes in to help? Explain your expectations on screen time too. Are your children allowed screens for homework? What are the consequences if they are caught on using screens for non-homework purposes? This may be new to you as parents! Sit down with your Au Pair and think of solutions together! If you are still looking for an Au Pair to arrive this fall, contact us today!